The Taj Hotel Rambagh Palace originally built in 1835, Rambagh Palace has had many royal transitions, from the home of the queen’s favourite handmaiden, to royal guesthouse and hunting lodge.and later as the residence of the Maharaja Sawai Man Singh II and his queen, Maharani Gayatri Devi. The Rambagh Palace has hosted to several high profile guests, such as Lord Louis Mountbatten, Prince Charles and Jacqueline Kennedy. 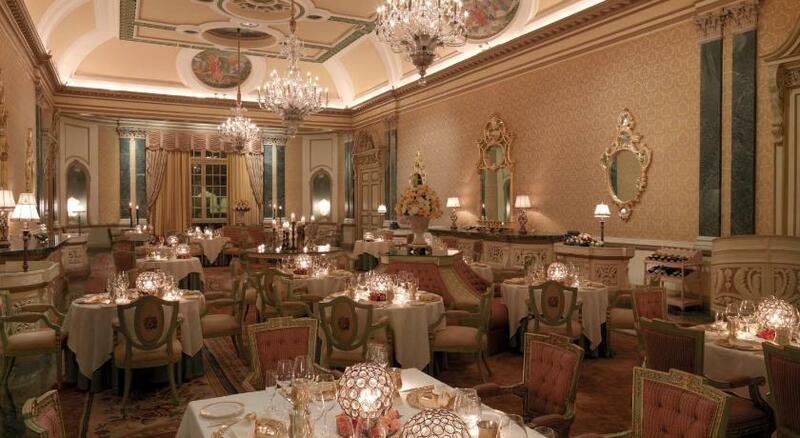 The Taj Rambagh Palace is located next to Rajasthan polo club and Rambagh golf club. It is at 3 km distance from Albert hall museum. It is close to the main shopping centers and also to the domestic and international airport. The palace retains its vigor, decorated with hand craft marbles. The gardens will take you back to the Mughal era, reminding you of their royalty. The place has golf course on the green lawns, indoor and outdoor pools for you recreation. Also enjoy the horse carriage rides. The facilities they provide include Business Centre, Banquet & Conference Facilities, Airport Transfer on request, Astrologer on Call, Barber Shop, Beauty Salon, Business Centre, Business Facilities, Car Rentals, Currency Exchange and Driver Dormitory. Experience the traditions of the Rajputs. If lucky you would spot the peacocks roaming free in the gardens. Breath taking sight, isn’t it? The hotel has 44 rooms and 33 suites. There are spacious luxury rooms, palace rooms, historical suites, royal suites and the grand presidential. You can have any of them according to your needs. They offer beautiful garden view. You get options for smoking and non smoking accommodation. They also have babysitting services for babies. You will get greeted by decorated elephants and horses and the traditional thali, according to the Indian culture. The hotel provides you heritage walks. You can also carry on with your daily yoga and meditation at the yoga pavilion. The staff is efficient, friendly and co operative. The management is quick about taking actions regarding your problems. The place has four restaurants and a bar. The four restaurants are Suvarna mahal, Steam, Rajput room and Veranda café. The bar is named polo bar. The Suvarna mahal offers Indian food while Rajput room and veranda cafe are multi cuisine restaurants. The steam is a train turned restaurant which offers Mediterranean food. Porcelain tea cups with really nice Indian teas and little pots of honey will steal your heart. The presentation of the food definitely makes it more attractive. Even if you find a fault in the food served, if informed they are going to take it seriously and will make the required changes. All the restaurants are open till midnight. Try out the luxurious spa it is do relaxing and a must try. At your visit to Taj Rambagh palace you must have food at least once in the steam, a different experience of having food in a train. The bookshelf is worth having a look. They offer you rare books on art and culture. Rooms start from £300 per night however it varies depending on when you go. This hotel will definitely take you back to the age of kings and queens, giving you a taste of royalty. What a gorgeous hotel! It would be such a lovely experience to dine at one of the four restaurants. I feel you would need to dress like a queen or king to stay there, which how fun would that be! Wow – this must be one of the most opulent hotels I’ve ever seen. Don’t think I’ve ever stayed in a place this beautiful. Love the bedroom, so spacious and the gardens are amazing! So luxurious and beautiful. I wanted to spend an evening here when I was around, but somehow didn’t happen. Next time for sure. Talking about luxury, what a dreamed place to stay, must have been a wonderful experience to write about. That is a beautiful hotel. I so wish I could afford to stay there – maybe one day!